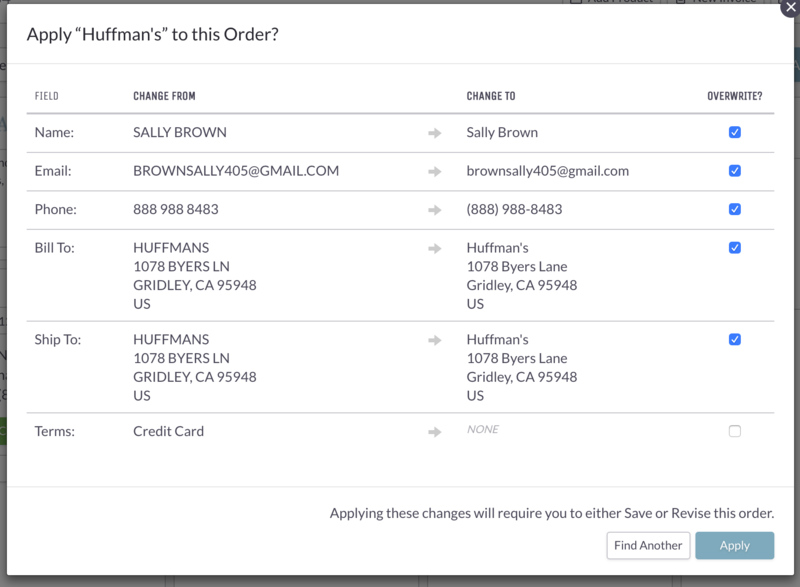 Remember that Orders are not automatically connected with the Customer information saved in your Customers List. 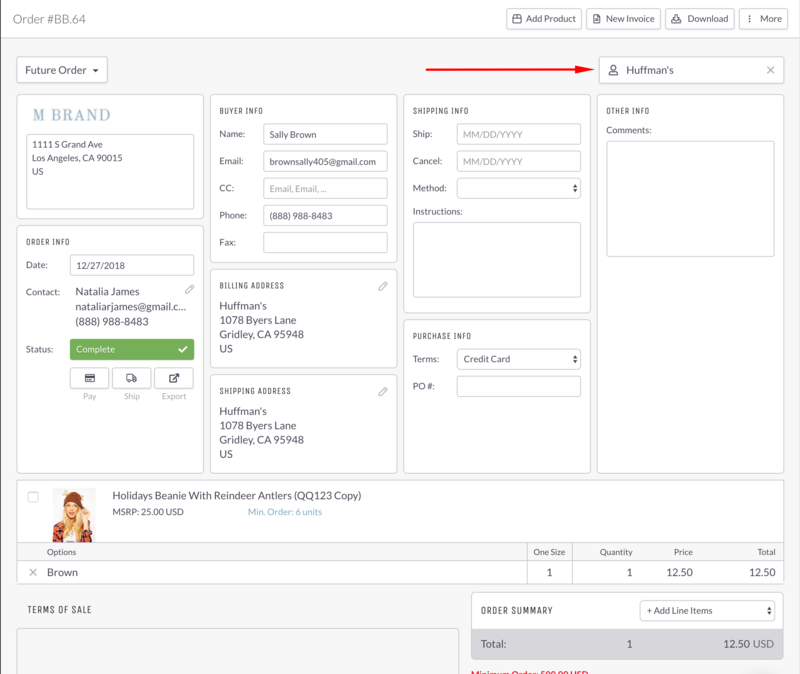 To manually associate an Order with a specific Customer, open the Order Form and click "Choose a Customer". 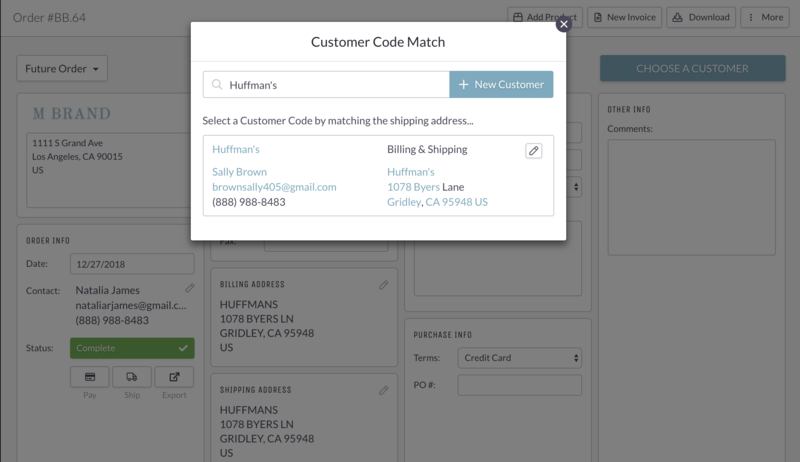 The Customer Code Match panel will appear, offering you suggested matches based on the information provided. If you select a recommended Customer, you will have the opportunity to choose what fields, if any, to overwrite with the information you have on file. By deciding which set of information to use, you can correct mistakes or ensure consistent formatting. Uncheck the boxes for the fields you wish to leave unchanged. 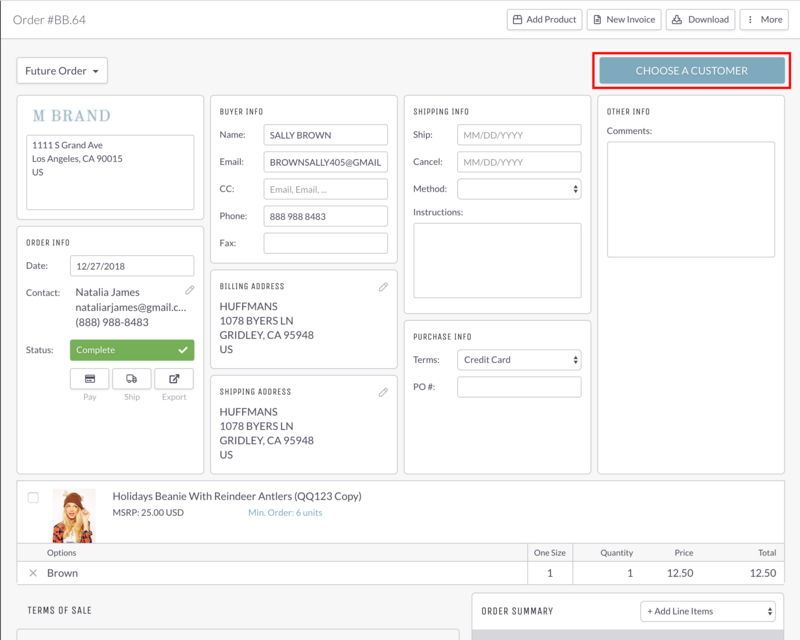 Once you click "Apply" the checked fields will be overwritten on the Order form with your saved information and the Customer Code will appear in the corner.